… the 2014 Insight Genesis College Cup. Most likely. Oh, did you think we were talking football? Get ready to download your Insight Genesis maps directly to your boat, on the water! Thanks to GoFree technology, anglers and boaters can now download highly detailed Insight Genesis contour maps directly to the Lowrance HDS sonar/GPS units on their boats, while on the water. They can also now upload sonar logs directly from the water to the Insight Genesis Cloud. 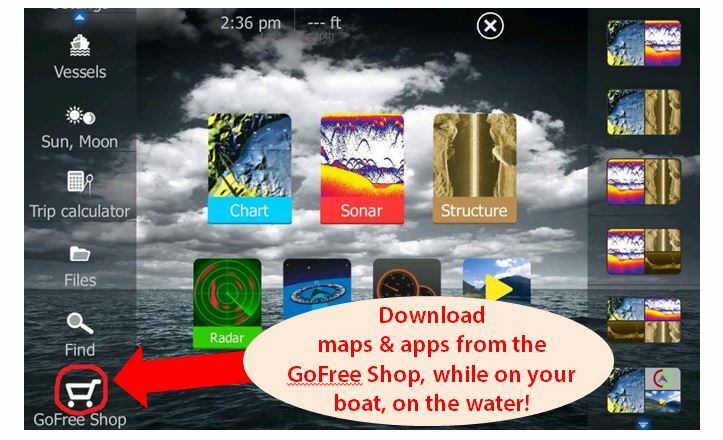 An industry-first innovation, the new GoFree Shop has revolutionized the way boaters get mapping content for not only Lowrance HDS units, but also compatible Simrad and B&G chartplotters as well. Not only can download and immediately use Genesis maps via the GoFree Shop, you can also purchase, download and use all Insight and select 3rd-party maps previously available only at retail stores or via download to a land-locked computer. Map data purchased via the GoFree Shop is downloaded to an SD card inserted into your chartplotter. To open and/or download a step-by-step tutorial on this new GoFree-enabled technology, click this link: How-to-use-Go-Free-on-Lowrance-HDS. 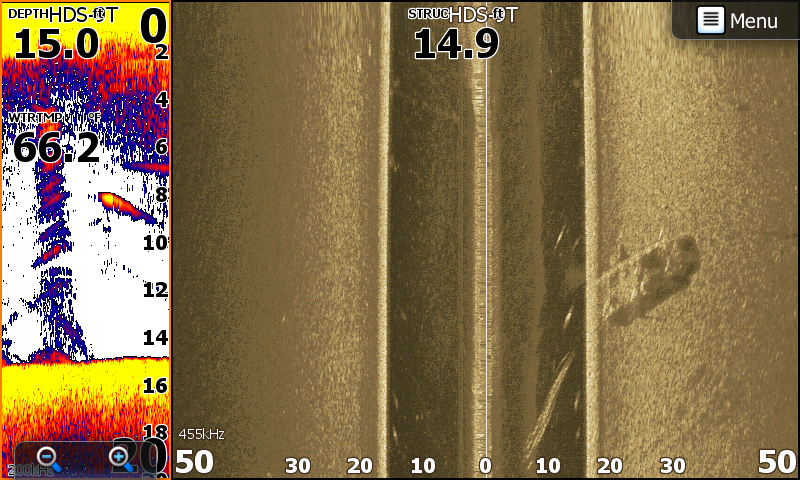 We’re not sure how the angler who captured this video footage found this spot, but we’re confident that you can find great spots like this (and catch fish off of them) with one amazingly simple trick – use an Insight Genesis custom contour map in conjunction with your Lowrance StructureScan and 2D sonar. Fishing success is built on a stool with three essential legs – superior sonar imagery, outstanding StructureScan views, and the most detailed contour maps available. Most anglers already know Lowrance dominates in the first two categories. And word is getting out about Insight Genesis, Lowrance’s superior custom mapping service. 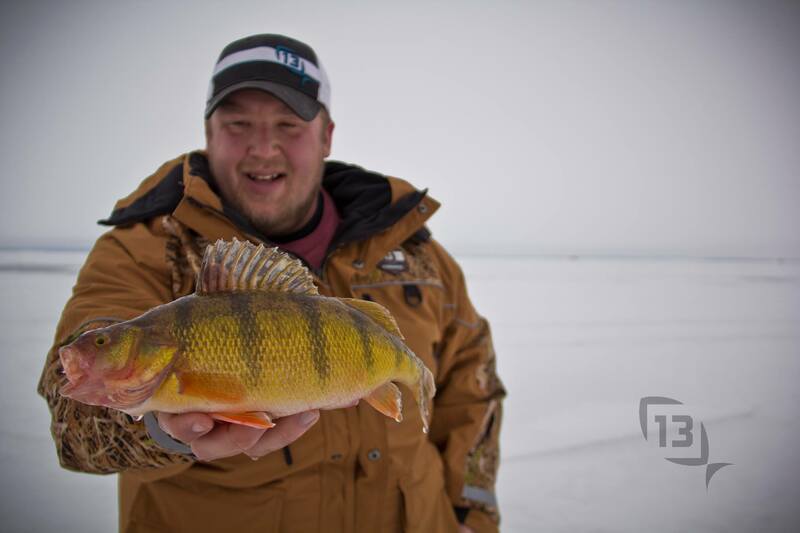 You won’t believe what this angler found when mapping a reservoir with Insight Genesis! Savvy anglers already know to use Insight Genesis custom mapping to discover previously hidden fish-holding structure. But sometimes when mapping a lake, you find a lot more than you expected – like two stolen vehicles!